In spring 2012, the City of Elk Grove, a community just south of Sacramento, California, opened a rain garden that is a magnet for wildlife, prevents pollution from running off into local streams, and an important tool to teach others about how use similar earth-friendly techniques in their own yard. Paul Mewton, Chief of Planning, Cosumnes Community Services District, and Greg Gearheart, State Water Resources Control Board, discuss this innovative park and how land use in the Central Valley still impacts our coast and ocean. Want to calculate how much water you can capture? I have a post from April 10, 2010 about how to install rain barrels and harvest the water and another April 12, 2010 about how to build a rain barrel.. A reader posted this link, which I never saw until now. It is very cool to get an idea how much water can be harvested if you have the set-up to do it. Thank you Raindrops Cisterns! Statistics generated in reference to NOAA calculations for average rainfall per year. This is the link where they have the calculator - just put in your zip code and the square footage of your roof and you get the gallon figure!!! Wow!!! How much rainfall can I harvest in a year? You could harvest up to 23,976 gallons of rainwater per year! Shoot for 1000 gallons and go from there. 1000 gallons on a 1000 to 3000 square foot house is a nice starting point and will supplement your existing water use quite nicely. Supplementing is the key word. It is not always practical to depend 100% on rainwater, but it is always practical to supplement potable water with rainwater. square footage of roof area X .6 = gallons per 1 inch of rain. Average inches rain per month in most of Florida is 3 inches – this does not include June, July, August and September which are about double that. Let us assume 2 people live in this home. With each person using 69 gallons of water per day (this is average), that is 138 gallons per day or 966 gallons per week and 3864 gallons per month. Considering the frequency of rain, a 1000 gallon to 2000 gallon storage capacity would be a good fit for this home. Daily indoor per capita water use in the typical single family home is 69.3 gallons. Considering the above figures, with efficient fixtures and a collection system capable of supplementing your water needs, you can make a significant impact on the environment and your pocketbook too! Rainwater harvesting is the collection, storage and distribution of rainwater from the roof for use inside and outside the home, farm or business. Also known as cisterns. Increasing water usage as population continues to grow. Storm water run off damages the environment. 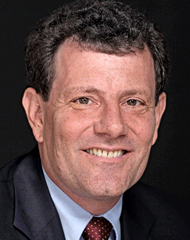 Increasing the storm water infrastructure cost taxpayers millions. Save potable water for drinking. Start harvesting water now! Rainwater reduces water usage in every home. Installing a system you will start saving water immediately. Rainwater is naturally pure and fresh. It is not recycled water! Research supports rainwater can meet all household requirements. Significant cost savings for the community and each household. When you consider the total cost to the community, it makes sense to install a system to catch rainwater that falls for free from the sky and utilize it in and around the home. Lower overall water usage. People that collect and use their own rainwater become more aware of their water use and further reduce their overall water use. Lower energy consumption and green house gas emissions. There are significant cost to treat and pump mains water throughout the community. Widespread installation of collection systems result in reduced energy consumption and less greenhouse gas emissions. Rainwater is an ideal water source for 95% of our requirements. Protect local waterways, bays, estuaries and reduce storm water infrastructure cost. Harvesting reduces both the volume and velocity of storm water run off. What is that green stuff on tomato plants? What is the greenish-yellow powder you get all over your hands and arms when you pick tomatoes? For the past two summers, this question has been bothering me. But I couldn't find anyone who seemed to know. I asked numerous friends in the biology and horticulture fields, and even several tomato breeders. Most people said "isn't it pollen?" But clearly it isn't coming from tomato flowers — it's all over the plant, on the leaves and stems. One grower called it chlorophyl. Another called it "tomato tar" because it turns black if you don't wash it off quickly enough. An interesting characteristic of this substance is how hard it is to get it off your skin. You lather up with soap and water and the suds turn green. Rinse, and lather again, and the suds still turn green. You can wash your hands four or five times and the stuff just keeps coming off. It explains why all your towels and t-shirts get green stains in summer — no matter how many times you wash, there's still some left behind on your skin. Finally, the mystery of the tomato stuff was revealed. Chris Wien, a horticulture professor at Cornell University, had sent me some information about high tunnel tomato production for an article I was writing for Growing for Market. I emailed to thank him then added, "By the way, do you know the technical term for the greenish yellow powder you get all over your hands when you pick tomatoes?" Chris emailed right back. "Yes, the green substance is a number of chemicals that are released from hairs situated on the surface of tomato leaves, stems and fruits. Under a microscope, these look like miniature water towers, and the compounds are inside these glands. Some of the compounds are called 'acyl sugars'." Finally, I had the right words to Google it with. When I did, I was plunged into the totally unfamiliar world of plant metabolism research. A few hours later, staggering from one barely comprehensible scientific paper to another, I landed on the website of the Solanum Trichome Project, a collaborative genomics project between the University of Arizona, University of Michigan, and Michigan State. That's where I found this beautiful illustration above (by Chris Smith of fivethirtythree studios) of the little hairs that secrete the green stuff that gets all over your skin. The little hairs that cover tomato leaves are technically known as secretory and glandular trichomes (SGTs). About one-third of all the vascular plant species have SGTs. They secrete various secondary metabolites -- that is, substances that aren't used for the growth or reproduction of the plant but have some other function. SGTs contain the essential oils that give herbs their fragrance and flavor. In tomatoes, they produce acyl sugars, terpenoids, and flavonoids. Acyl sugars are lipids (fats) that are greasy to the touch, insoluble in water and soluble in alcohol. That's why they're so hard to wash off your skin. Terpenoids release the familiar tomato scent when you brush against the plant. Flavonoids are the substances in plants that are getting all the attention for their role in preventing cancer and cardiovascular disease. These substances are thought to protect plants against environmental assaults including insect attacks, foliar diseases, extreme heat and excessive light. They are of great interest to plant breeders, who hope to use them to develop varieties resistant to late blight, early blight, Septoria leaf spot and other diseases. There is also some research into increasing insect resistance. 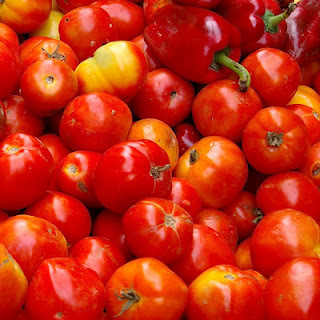 "Some wild tomato lines from South America have different acyl sugars than the domestic tomatoes, and by crossing them, the breeders can select for compounds that ward off insects," Dr. Wien said. "Unfortunately, these compounds also give the plants a 'wet dog' smell, so may take some getting used to." So now I know. The green stuff serves a very good purpose, from the point of view of the tomato plant. And that makes me more kindly disposed to the green stains on my towels and t-shirts in summer. 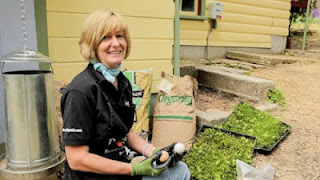 Lynn Byczynski is the editor and publisher of Growing for Market, a magazine for direct-market farmers. All chickens deserve dry, safe places to live. Offer them good grub too—and you’ll get yummy eggs full of Omega-3 fatty acids! Feed your chickens our Omega-3 Chicken Forage Blend to ramp up the Omega-3 in their eggs. (shown here growing in seed flats). Give your backyard chickens the best room and board. Here at Peaceful Valley we have all the supplies you need to raise healthy chickens. 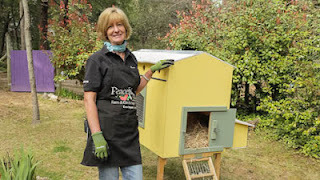 BACKYARD CHICKEN VIDEOS Raising Chickens - We have 3 videos for you on backyard chickens! 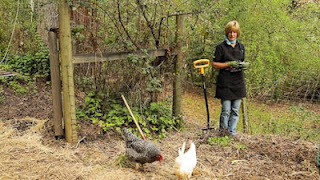 Tricia raises chickens and covers the basics on what they need. Jessi Bloom, author of Free-Range Chicken Gardens, tells the story of chickens as part of permaculture. Jayme Jenkins blogs at Nest in Style—and built her own chicken coop. View Jayme's tips on the coops that will be best for your back (and for the hens). 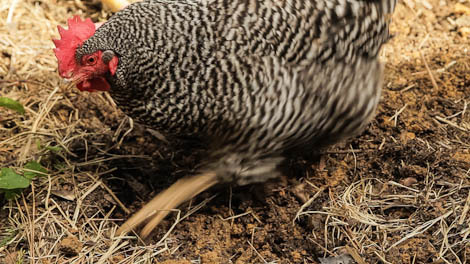 We’re famous (in the poultry population) for our Omega-3 Chicken Forage Blend. Chickens love to cruise around and find their own tasty bites in the garden. This blend gives them choices, and sneaks in a lot of Omega-3 producing greenery for them. Omega-3 fatty acids are an important component of a healthy diet. One way to get this substance in our food is to eat eggs from chickens raised on a diet that promotes the formation of Omega-3s right in the egg. University studies show significantly higher Omega-3s in eggs from hens who can forage in pasture instead of just eating an industrial diet. Our mix has the alfalfa, clover, and flax that increase Omega-3s in eggs. Plant annually after danger of frost has passed. Plant at 50 pounds per acre or 2-3 pounds per 1,000 sq. 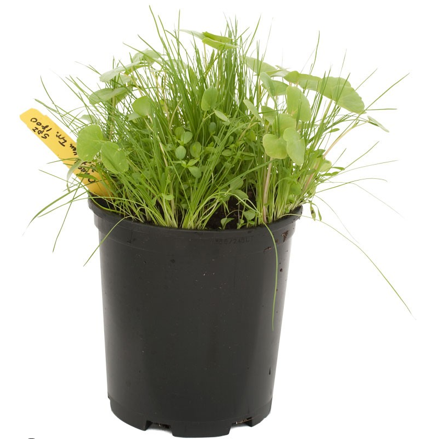 ft. Keep moist until germination and then water regularly, depending on your soil type. When the mix is 2-5” tall turn the chickens loose on the planted area until they have eaten the grasses about half way. Or plant some in a 17” square flat for the chickens and let them chow it all down. Add soil, sow thickly, follow the growing instructions above, then place the flat in the chicken run. Caution: Flax can form prussic acid when exposed to frost so do not graze horses on this mix. Who uses that coop anyway? The hens, of course, but you do too—and you want the coop height to be easy on your back when you’re gathering eggs, checking on your flock, and cleaning the coop. We found small and large coops that work well for the chickens and for you! These meet all the requirements for being secure, high off the ground, well-ventilated, designed with chicken roosting and laying needs in mind—and they’re cute! We have galvanized chicken waterers and feeders for your feathered friends. Lots of good food too, like Organic Layer Chicken Pellets, and the specially digestible oyster shell that keeps calcium levels high (and egg binding away). A chicken’s idea of a spa treatment is a dust bath. Mix food grade diatomaceous earth with your own dirt and make some hens happy. Chickens are a hot topic and the chicken books are flying off the presses. We read all the new books and have our picks for the top of the pecking order. 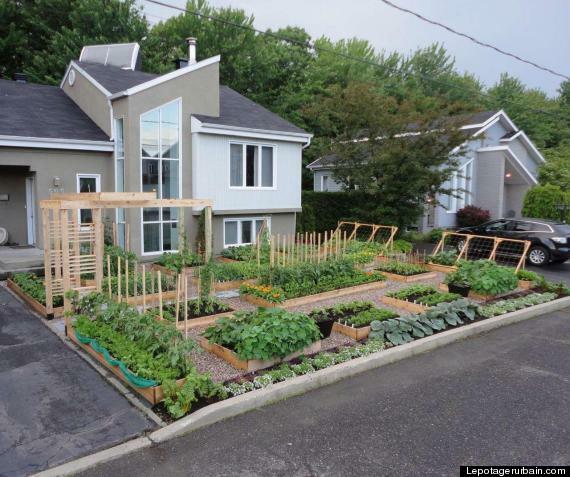 You can’t go wrong with Jessi’s Free Range Chicken Gardens, or the comprehensive City Chicks and Living with Chickens. In a nesting mode? Check out the great coop designs and super-easy-to-follow building directions in the brand-new Art of the Chicken Coop. Here’s to healthy hens and healthy chicken keepers! In defense of botanical trespassers. The first weeds were created 10,000 years ago, when the first fields were cultivated, and the concept of the botanical trespasser—the "plant in the wrong place"—was invented. Seven thousand years later, Middle Eastern farmers, still disgruntled at having lost their hunter-gatherer lifestyle, wrote a creation myth in which agriculture and its accompanying weeds are a celestial punishment for their cleverness. Genesis' god condemns errant humans to till the soil "in the sweat of they face ... cursed is the ground for thy sake ... thorns and thistles shall it bring forth to thee." Today the thorns and thistles are still there and more is spent trying to exterminate weeds in farms and gardens than on any other aspect of cultivation. Their appearance sparks reflexes, not reasoning. They are regarded as inexplicable and impertinent intruders, quite unconnected with the way we live our lives. But the fact is that we are responsible for weeds. Every single nuisance, from the purslane and witchweed in the cornfields to the thrown-out aquarium exotics now smothering the native flora of the Everglades, is a consequence of our thoughtless and sometimes deliberate disruption of natural systems, ploughing, spraying, moving species way beyond their natural homes. We tend to ignore that weeds are beneficial. They are nature's pioneers, abhorring the vacuum of barren earth, sometimes functioning as a kind of ecological immune system: organisms which move in to repair damaged tissue, in this case earth stripped of its natural vegetation. Certain weeds are more directly useful for humans. The wheat on which western civilization is predicated began as a weed grass: wild emmer, St John's wort (klamathweed) is now a recognized and widely used anti-depressant. We couldn't survive as modern humans if we ceased to control weeds. It's impractical to let them grow unimpeded. 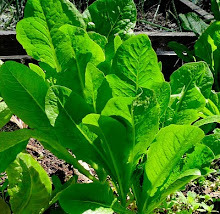 But, every once in a while, perhaps we should take a break from weed-whacking and examine our relationship with these clever and resilient plants, if only to admire their will to live and to multiply. Below we view a slide show by Richard Mabey on weeds that expands on this introduction. Credit: Photograph by foto footprints via Flickr. Bindweed is the archetypal weed, being both an interloper and awesomely adaptive. It’s also ambivalent, as beautiful in flower as its close relatives the morning glories. The big, “granny’s nightgown” flowers of hedge bindweed came to the United States with early settlers. Bindweeds thrive on weeding and ploughing. Every fragment of chopped root or stem can generate a new plant. 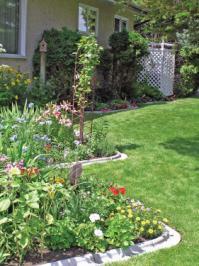 It can cover 30 square yards in a season. If it’s eaten by cattle, chemicals in the stem respond to the growth hormones in the animals’ saliva and grow even faster. Doff your hat in respect before you try to hoe it out. Credit: Photograph by Bogdan via Wikipedia Commons. A cosmopolitan family of semiparasites that come in all manner of varieties, each chemically adapted to a specific host. Dodders have no chlorophyll and no roots. The growing stems edge forward with the coiling movements of sidewinders, until they chemically “sniff” their host, and then head toward it, suckering spikes at the ready. The variety that preys on tomatoes has been filmed rejecting globes of red liquid and dyed tennis balls, and slithering decisively toward a piece rubber impregnated with tomato-scent chemicals. Credit: Photograph by Epukas via Wikipedia Commons. Most American weeds originated in Europe, a legacy of colonialism that outstayed the colonists. Burdock’s floppy gray-green leaves were a favorite foreground ornament of 17th- and 18th-century landscape painters. But it’s had a more modern practical use. The seed-heads—called “burrs”—are covered with hooked spines, which attach themselves to passing animals and get dispersed. In the 1940s the Swiss inventor George de Mestral, removing a bushel from his dog’s fur, was inspired to create Velcro. It was patented in 1951, one of the first examples of the burgeoning science of bio-engineering. Credit: Photograph by Muffett via Flickr. One of the most enchanting European wetland flowers. The pre-Raphaelite John Everett Millais painted its magenta sprays on the riverbank in his famous picture of the drowning Ophelia. It arrived in the New World in the early 1800s, probably as a stowaway in ships’ ballast. It came without any of the munching insects that, above and below ground, keep it in check in Europe, and took off west like any other ambitious immigrant. It has now reached the fragile marshlands of Alaska, forming solid stands—a mile thick in places—which even muskrats cannot penetrate. Credit: Photograph by K W Reinsch via Flickr. A quintessential ingredient of the ambience of Western movies, but also a wonderful example of cinematic anachronism. Tumbleweed—aka Russian thistle—is a native of arid areas of eastern Europe and Asia which arrived in the USA in the late 1870s, mixed up with flax seed brought by Ukrainian immigrants. It didn’t really become established until the early 20th century, some while after the pioneering heydays portrayed in classic Westerns. Tumbleweed’s great trick, in which the dried-out plants detach themselves from the ground and bowl about the desert, scattering seeds as they go, is a typical piece of weed smartness. Credit: Photograph by Lane Tredway via Flickr. Credit: Photograph by Gardening in a Minute via Flickr. Not all weeds travel east-west. Cogon is a tough grass that is a natural component of the ground vegetation of Southeast Asian forests. When the United States used Agent Orange to obliterate the trees in large areas of this forest during the Vietnam War, cogon rampaged across the landscape. It has overwhelmed attempts to overplant it with pineapple, teak, even the formidable bamboo, and picked up the local tag of “American weed.” There’s some poetic justice in the fact that cogon recently infiltrated the United States in the packaging of imported house-plants, and is now advancing across the southern states. Credit: Photograph by SoftCore Studios via Flickr. Kudzu is the “vine that ate the South”—aggressive, imperious, its origins the subject of wild conspiracy theories. The true story of its arrival in the United States is that in 1876, the Centennial Exposition in Philadelphia contained a Japanese garden full of that country’s native plants. Kudzu proved very appealing as an ornamental climber and was widely planted in gardens. In the 1920s, a Florida nursery noticed that cattle were browsing on the plants and promoted it as a forage crop. Ten years later the Forest Service started planting the vine to control soil erosion in the dust bowls. But by the 1950s it had broken out of cultivation, and, capable of climbing up to 90 feet at the rate of 1 foot every 12 hours, was swallowing entire forests and houses. It’s a salutary demonstration that even the most beneficent of plants, translocated from the natural control systems of their native habitats, can turn into superweeds. Credit: Photograph by DarkOne via Wikipedia Commons. Not all weeds are, so to speak, “weedy.” Many tree species can behave with the enterprise of wheatfield invaders and flower-border guerrillas. Tree-of-heaven is a popular Chinese ornamental with prodigious powers of both seeding and vertical growth. It gets its name not from some paradisiacal scent (the flowers smell rather disagreeable, but are popular with city bees), but from the speed with which it rockets skyward, sometimes carrying sidewalk slabs with it. In the U.K., during a rubbish collectors’ strike, trees-of-heaven were seen shooting out of unemptied refuse bins. They are one of the great healers of broken and derelict city space, as in Detroit, and already a key component of the post-industrial urban forest across the northern hemisphere.